The Red Consultancy briefed to position Gatwick as 'London's airport of choice'. Gatwick Airport has handed The Red Consultancy a major new PR brief as it looks to challenge Heathrow's status as London's leading airport. Following the £1.51bn sale of Gatwick to London City Airport owners Global Infrastructure Partners in 2009, the new owners have embarked on a £1bn investment programme to improve the passenger experience. 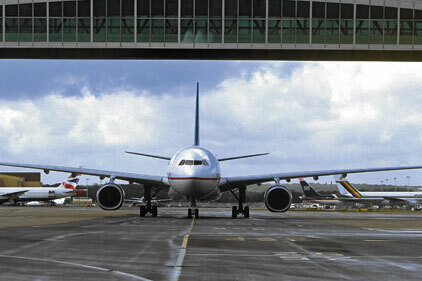 Gatwick has appointed Red on a three-year basis for a six-figure sum. The agency will help it communicate its objective to be 'London's airport of choice' for travellers whose journey begins or ends in London and south east England. The appointment follows a competitive pitch process. Gatwick is the second busiest airport by total passenger traffic in the UK after Heathrow, while still being Europe's leading airport for point-to-point flights. Coney added that the agency had 'one central concept', which will harness third-party intelligence to show the commitment that Gatwick has to its customers. The agency intends to put the message out via coverage in the front pages of top consumer titles and broadcast shows, as well as transport and travel pages. Gatwick will continue to use online PR agency Rabbit, which was appointed last May. It also uses FD in Brussels for public affairs support.